I have been thinking about secure election systems for a while. Two events have provoked me to consider this issue today. Firstly, I was looking at building a voting system in WordPress and came across YOP Poll which does not have a secret ballot hidden from the system administrators. Secondly, the Lewisham Momentum meeting tonight it seems is going to have Momentum staff or nominees on the door. The point of principle is that when building trustworthy systems, they must have a segregation of duties and are best observed by competing interested parties who can call foul if something wrong is happening. 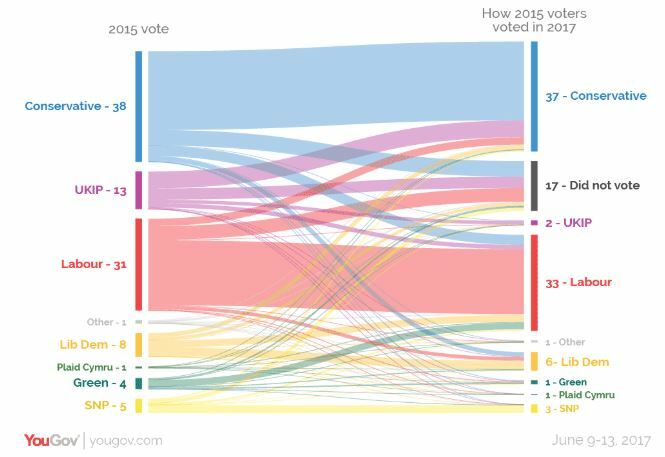 YouGov have looked at where the Party’s votes came from compared to 2015 and produced a Sankey Diagram, which I think is really cool. What do London’s MEP candidates think about digital? 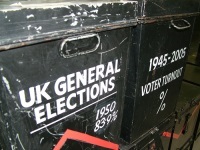 How important is postal voting becoming?